My Ph.D. research focuses on how the abstract concept of Globalization phenomena is generating complex spaces of innovation. It discusses the overlaps between global and local scale and the consequent social and ecological demands that emerge from novel references for social-ecological contracts, and rules of engagement. Through my work I argue that contemporary organizations and institutions were not designed accordingly to their potential to promote sustainable and equitable outcomes; they lack the capability and the structure to operate in the speed and dynamics in which individuals are interacting with themselves and the environment. 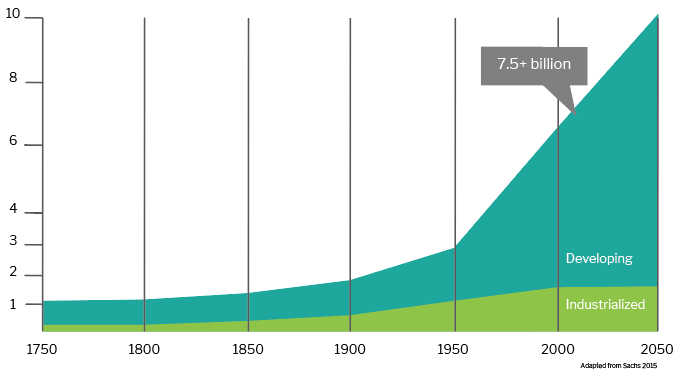 As the world has passed the 7.5 billion mark, this is generating unintended consequences (e.g. irreversible environmental damages and social inequalities) empowered by the fast-changing technology industry. In this context, my interest is to explore: what are the forces that are preventing the organizations to reinvent themselves and adapt their processes and structures to consider major challenges of current reality? How might organizations unlock their operational systems, and incorporate principles of sustainability and equity into their decision-making processes? How can design foster an innovation culture for sustainable practices? 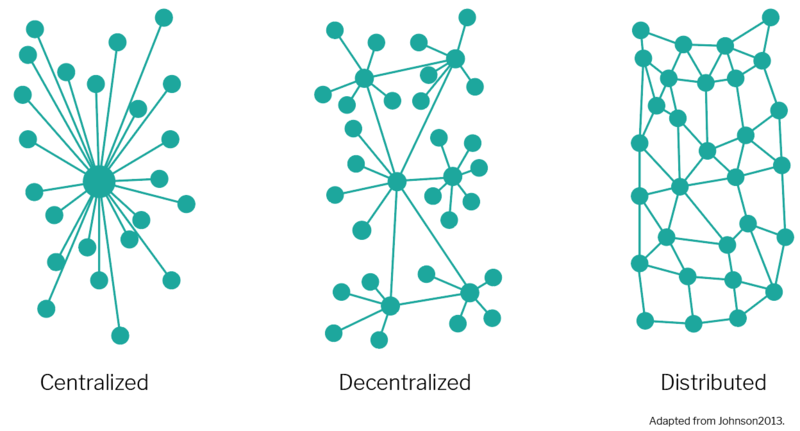 Organizations that develop more interactive, nonlinear and open processes, have higher chances to avoid collapsed consequences on existing centralized and decentralized systems. 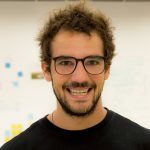 They have to be prepared to embrace pragmatic methods for continuous innovation in order to be comfortable with ambiguity and uncertainty, and the increasing challenge of conflict management and rapid prototyping in distributed networks. This is challenging the centralized, linear and fragmented production-consumption models that organizations are engaged. Design is a discipline capable of integrating dispersed knowledge and promoting transformational practices not only at the organizational level but also at the systems and at the individual level. 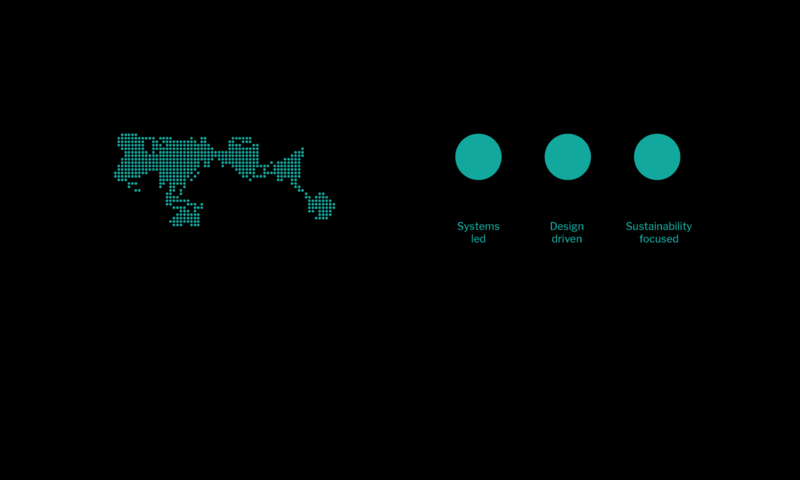 While several scholars and practitioners in the field are exploring new methods of strategic thinking, multidisciplinary collaboration, organizational agility, and continuous adaptation to advance the field in each one of these levels, there is greater potential to use Design as a strategic tool for interconnecting them and promote more sustainable and equitable innovation processes. My major contribution has been in creating structures to guide context-sensitive innovation practices towards sustainability and equity. I am designing new methods, tools, and frameworks to expand collective debates around of what kinds of growth are needed, how they can be structured, where and when they can be created, and ultimately who are the beneficiaries as well as the responsibility for promoting the desirable growths. 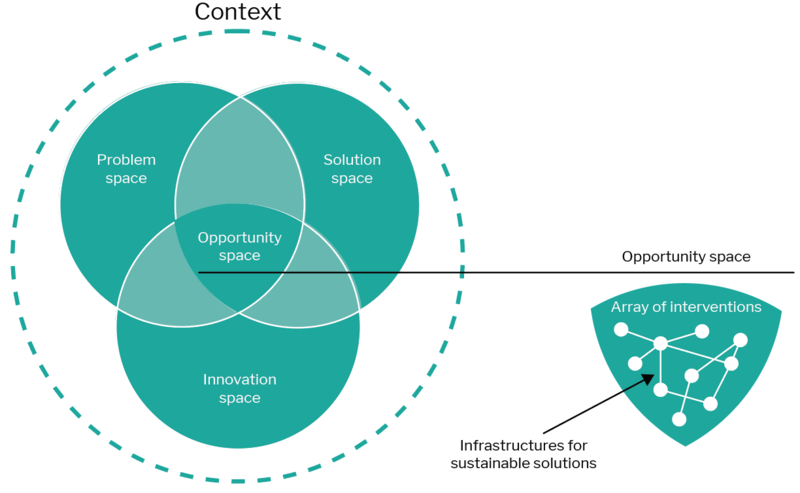 For example, the diagram above challenges the current practice of design by arguing that the opportunity space for new systems interventions rely on the intersection between the problem space, the solution space, and the innovation space. This requires from stakeholders involved the understanding of their limited capacity in defining the opportunities, and developing solutions in isolation. However, more than reinforcing the needs for new forms of collaborative practices, my work considers that not all phenomena related to the social order are exclusively human creations, and provides guidance in integrating considerations of different actors and infrastructures within the design of sustainable solutions. Interested? Now you know where to find me!